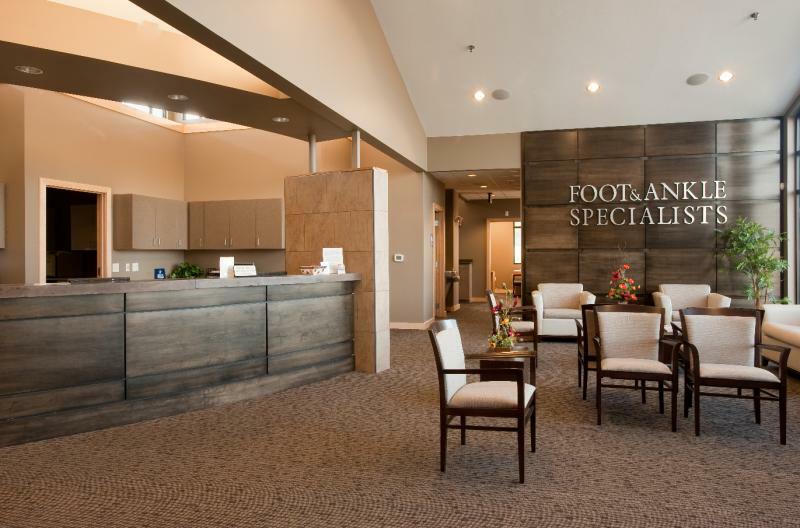 Known for a steadily growing business built on solid relationships, the Doctors of the Foot and Ankle Specialists recognized the importance of working with a General Contractor who would treat the construction of their new facility as something special. Enter the Calabretto Building Group and the start of another satisfying and mutually beneficial partnership was born. 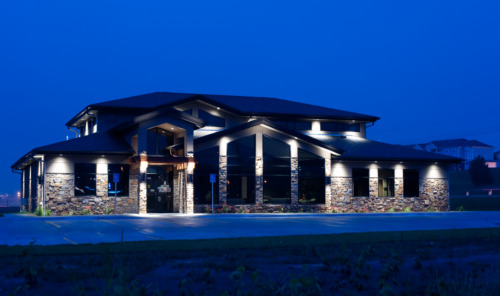 The scope of the project would be a ground up build of a $1.24M state-of-the-art medical facility located in Bellevue, NE. A multitude of factors rendered this project as challenging including the location itself. 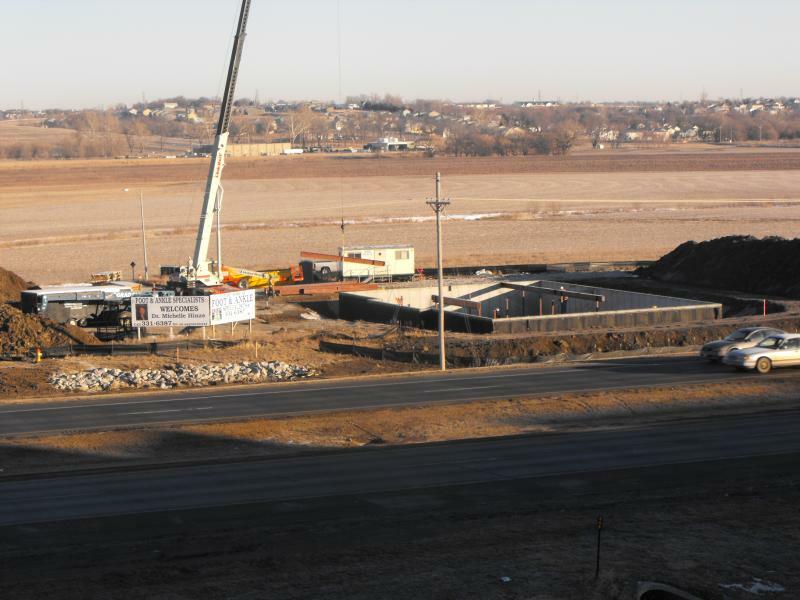 Although a prime site with ample frontage from Samson Way on 27th Street, the site itself is located in an area notorious for high water table levels. 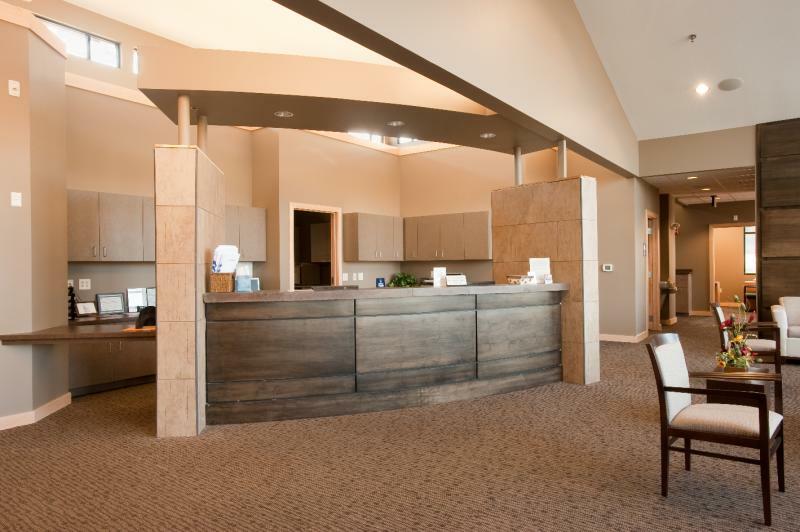 Because the new 10,000sf structure was designed to include a fully-furnished lower level complete with executive business offices and conference area, extreme care was exercised from the onset to ensure that water would not be problematic for the crews or the client. Specialized dehydration techniques were utilized at every step to ensure water tight construction from the initial dig to the pouring of the foundation. As striking as the new building is as you travel past 27th & Samson Way, the interior leaves nothing to want. Flooding the foyer of the building, tons of natural sunlight pours in from strikingly large windows. Perhaps this is the secret component making the rest of the interior adorned with natural stone, modern lines and sleek steel truly breathtaking as you move beyond the front door! 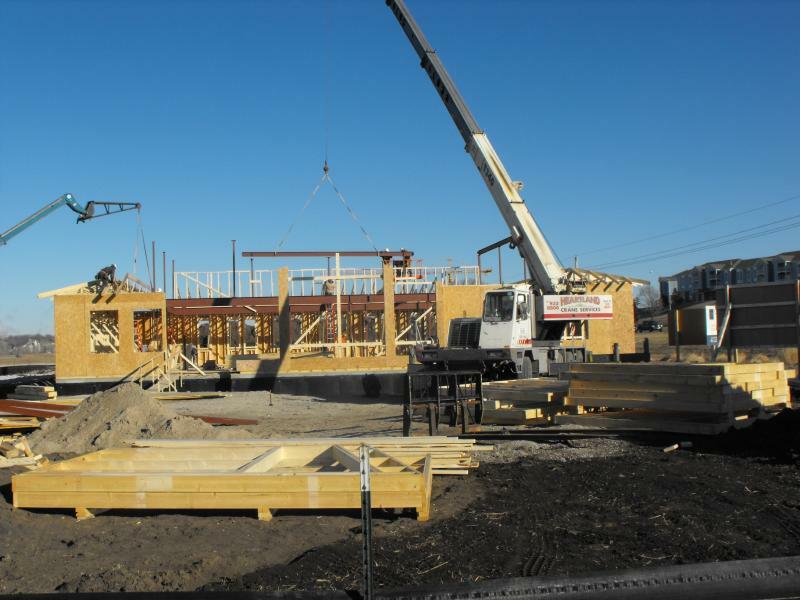 Similar to the Doctor-Patient relationship the success of a new building can be directly related back to the relationship between Contractor and Client. Partnerships built upon mutual values will supersede those that don’t in every instance. With shared vision like this it’s no wonder this project turned out as well as it did! 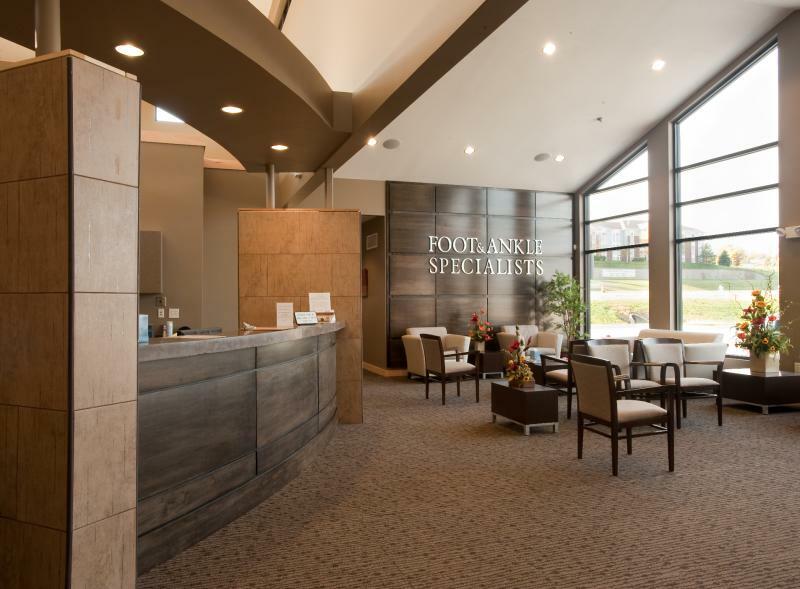 Many thanks go out to our friends at the Foot and Ankle Specialists! We are proud to state that the project came in under budget.